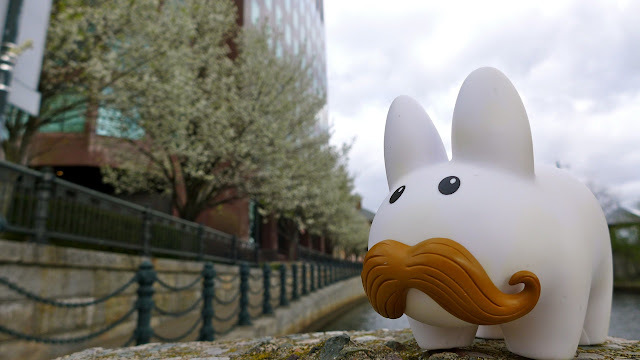 Pipkin's so happy to see the trees in bloom here in Providence's Waterplace Park. Rhode Island seems to be a couple weeks ahead of Vermont. That means Pipkin will get to see spring here, and more spring when he goes home. Win! 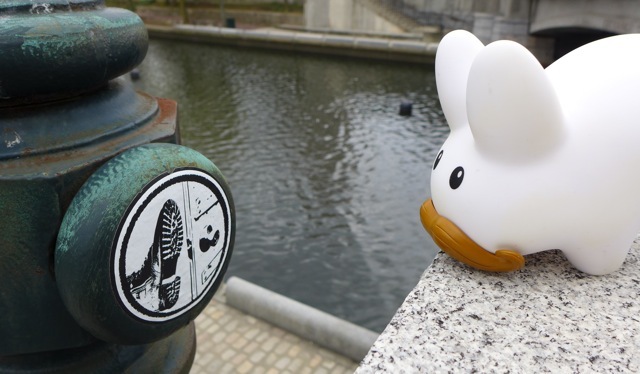 Pipkin's catching spring, but he's too early for WaterFire. From May to October, bonfires are lit along the three rivers in Providence and watched over by firetenders riding in gondoliers. 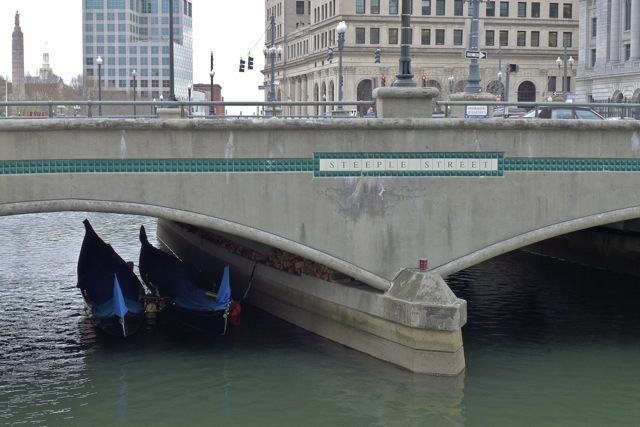 As you can see, the sculptures in the water are not lit, and the gondolas are hiding under the bridge. So, Domo and Pipkin walked around Waterplace Park enjoying the spring blooms. Like yesterday's blog post - it was quiet and deserted for a weekday afternoon. Where is everybody? Are they all hiding indoors? If so, Pipkin thinks they should be worried. This notice on the bridge seems rather ominous. 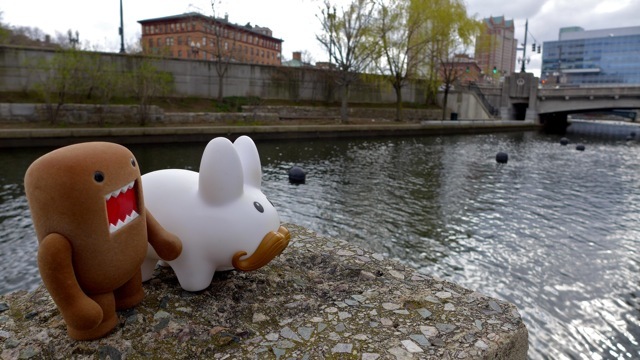 Labbit Travels: To The Cape! Where Have All The Horsies Gone?